To improve your listening skills, act like a trampoline, not a sponge. That’s one of the main insights the Harvard Business Review acquired recently after studying the habits of great listeners. While there’s plenty of advice out there for becoming a better listener, HBR wanted to take a more methodical approach to defining good listening skills. In order to do so, they analyzed data describing the habits of 3492 participants in a program designed to teach managers coaching skills. After poring over the data, HBR identified the top five percent of listeners and began to study their habits, comparing them to participants who were ranked as average listeners. 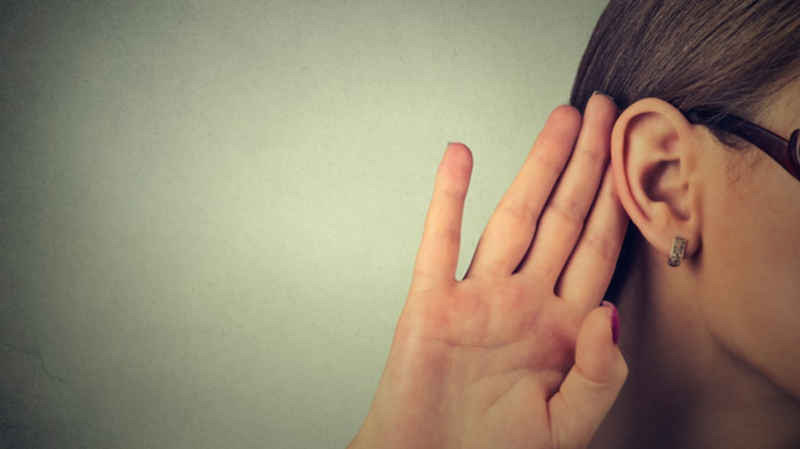 HBR came up with four main guidelines for improved listening skills based on the superior listeners in their data set. First, good listeners didn’t stay silent while listening. Instead, they gently asked questions, requesting additional information or clarification. Second, they built up the speaker’s self-esteem, making sure they felt supported and safe while speaking. Third, they were cooperative, not combative, searching for common ground instead of treating the conversation as a debate. Finally, they made suggestions, providing feedback in a way that was viewed as tactful and polite rather than pushy. While conventional wisdom states that good listening requires acting like a sponge—soaking up what the other person is saying and remembering that information accurately—HBR was surprised to find that their great listeners were more like trampolines: They let speakers bounce ideas off of them, providing feedback and new ideas. They concluded that listening shouldn’t be a passive act. Instead, good listeners listen without interrupting, but can also identify the appropriate time to ask questions or give feedback and encouragement.